North County Report: What Do the Democrats Competing for Issa's Seat Actually Believe? 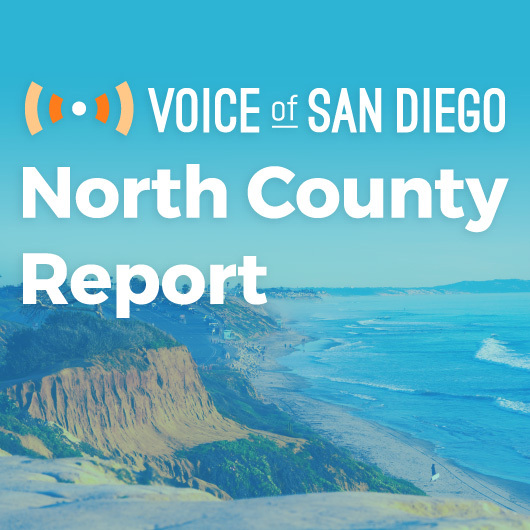 Cities are quick to delete their email records, more than 100 undocumented immigrants were arrested during President Trump's visit and more in our weekly roundup of North County news. None of the Democrats running in California’s 49th Congressional District to replace outgoing Rep. Darrell Issa have previously held elected office. So unlike many of their Republican counterparts, they don’t have voting records that the public might use as a prediction of future behavior. What exactly separates the Democrats beyond their age, gender, upbringing and professional experience, which has been the focus of media coverage? Several times, I’ve put that question to party officials and activists who’ve been deeply involved in the politics of the district for months — in some cases years — and they’ve all come up empty. “It’s hard to tell them apart,” said Ellen Montanari, an activist working with the Flip the 49th super PAC. For Democrats at least, this election has little to do with ideology, beyond standing in opposition to President Trump, and it may come down to who buys the most TV ads. 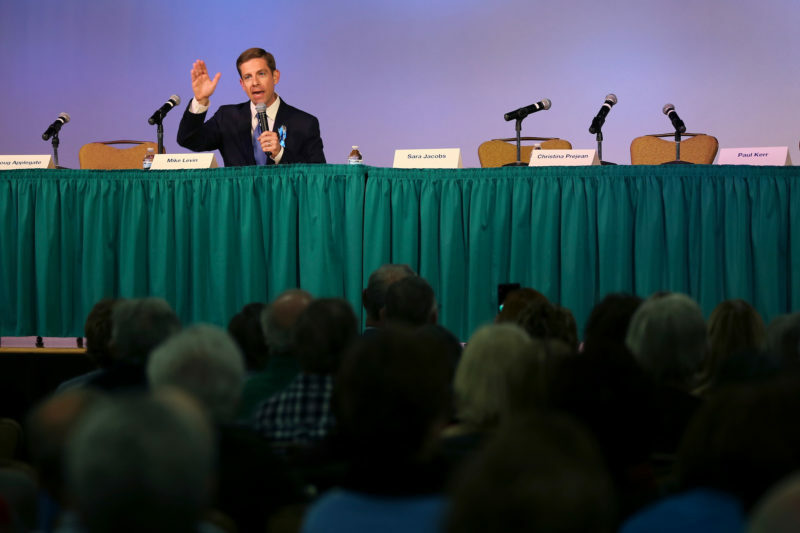 Flip the 49th had hoped to identify distinctions at a March 2 “viability” forum, but only one candidate, Mike Levin, took part. So I asked the four major campaigns for possible points of disagreement — or topics on which the others have been silent — and only two candidates replied. Levin, an environmental attorney, said he was opposed to extending the 241 Toll Road in south Orange County and wanted legislation clarifying state and local roles for sober living homes. “This includes reasonable protections for residents and communities from those who have prior convictions for assault, domestic violence, or active restraining orders,” he wrote in an email. In a statement to Voice, Jacobs, who worked for the State Department and ran an education nonprofit, acknowledged that there were many similarities between the candidates, but pivoted back to her personal characteristics. Judging by their websites, all four Democrats — including attorney Doug Applegate and businessman Paul Kerr — support “Medicare for All,” or a universal, single-payer-type healthcare system. 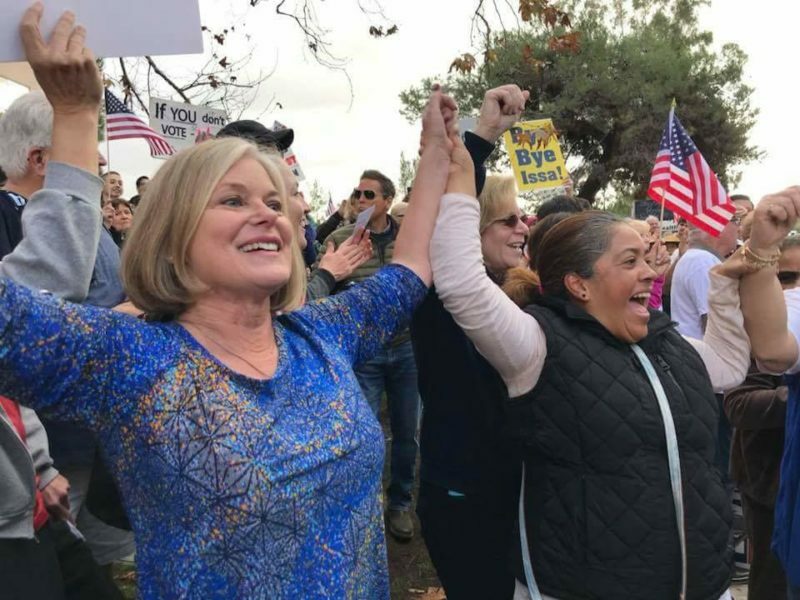 Applegate, Jacobs and Levin are also in agreement about a constitutional amendment to overturn Citizens United, about mandating more renewable energy sources, about ensuring access to women’s reproductive healthcare and improving the Veterans Administration, and about providing a pathway to citizenship for undocumented immigrants. Of course, the websites are not a definitive picture of where the candidates stand and neither is the list below. But the priorities they felt important enough to list upfront are instructive. Here’s a glimpse. Affordable housing: Jacobs called for the protection and expansion of the Department of Housing and Urban Development’s budget. Cannabis: Jacobs called for rules that allow banks to work with legal businesses. Criminal justice: Applegate said all nonviolent federal and state convictions should be eligible for expungement. Economy: Applegate and Levin cited their support for a $15 per hour minimum wage. They both singled out the Trans-Pacific Partnership as a bad deal, while Levin called for renegotiating NAFTA. Both also proposed increased funding for the National Institutes of Health, suggesting it would help the San Diego region’s biomedical companies. Environment: Levin wants a revenue-neutral carbon tax and a long-term storage plan for the San Onofre nuclear waste. Education: Applegate called for free public education between preschool and vocational/public university. Levin is in favor of better loan forgiveness programs for teachers, making community college tuition free for everyone, and eliminating tuition and fees at public four-year universities for students whose families make less than $125,000 annually. Guns: Levin wants to expand background checks to all firearm sales, including those sold at gun shows, and lift the ban on gun violence research at the federal level. Applegate said gun owners should go through an annual training course and provide proof of certification when purchasing ammunition. Social security: Both Applegate and Levin oppose privatization. Vets: Jacobs and Levin advocate for closing a funding loophole in the G.I. Bill that has allowed for-profit colleges to thrive. In a district that has long been dominated by Republicans, Democratic activists aren’t pushing very hard for a clearer sense of how their would-be representatives intend to vote. To some, it just doesn’t matter. Montanari said she’s confident each of the Democratic contenders is a progressive, and she’ll be happy as long as one of them gets through the June primary. • On his talk radio show Monday, former San Diego City Councilman Carl DeMaio endorsed state Board of Equalization chair Diane Harkey, one of five Republicans seeking Issa’s seat. In the process, DeMaio encouraged another Republican, San Diego County supervisor Kristin Gaspar, to drop out. Government emails are public records, and nearly all the cities in North County are preserving those records for less than California’s two-year minimum. For Encinitas and Poway, the emails sent to and from official accounts start disappearing after 30 days. Del Mar deletes theirs after 60 days. Carlsbad, Escondido and Oceanside wait until the 90-day marker, while Solana Beach begins the process at day 100. When surveyed by Voice contributor Jonah Valdez, officials in those cities argued that they’ve saved taxpayer money in the process on maintenance and storage costs. The argument rests on what is and isn’t a public record. Poway, for instance, considers “preliminary drafts, notes, informal communication between staff and consultants, personal messages, announcements, interagency or intra-agency memoranda” to be non-records, meaning they don’t have to be kept. Obviously, those policies bother transparency advocates. Several told Valdez that the cities have given themselves too much authority. If you’re wondering why this dispute is important, consider that email records can be crucial to the work of investigative journalists and others. Voice reporter Ashly McGlone has regularly relied on such email records in her coverage of school districts, whether the topic is alleged sexual misconduct, performance reports or artificial turf. Last year, Andrew Keatts obtained emails showing that San Diego Association of Governments officials had misled voters ahead of a tax proposal. Lisa Halverstadt also used emails to show the delayed response to the Hepatitis A crisis. • In 2014, Jeff McDonald at the Union Tribune also surveyed the email retention policies of local schools and special districts and found that Fallbrook Public Utilities District kept emails for a mere nine days — which is an awfully suspicion number. Public agencies in California have 10 days to respond to a records request. Last week, while President Donald Trump was touring the border wall prototypes, Immigration and Customs Enforcement agents working out of the San Diego field office were engaging in a large roundup of human beings. Over a three-day period, those agents arrested 108 unauthorized immigrants in San Diego County. At least two of those people were Oceanside residents. One was a 43-year-old Mexican man who’d previously been convicted of grand theft, controlled substance for sale and driving under the influence, according to ICE. The other was a 55-year-old citizen of Kazakhstan, wanted by Interpol for alleged tax evasion and embezzlement. ICE isn’t saying how many. But we do know, thanks to Kate Morrissey at the Union Tribune, that San Diego is the only field office where a majority of those arrested do not have criminal records. • The U-T also reported that student protests in North County joined a national call for school safety but deliberately toned down the demand for more gun control. Editor’s note: Ruarri Serpa is out this week, but will return. This post was updated to include a response from Jacob’s campaign.